In the apartment marketplace, a brokerage method popular in Europe is gaining traction in Canada, connecting interested investors with willing owners. Buy-Side Brokerage is changing the way apartments are sold in Canada and easing the difficult process of buying and selling properties for both the buyer and seller alike. Buying an apartment in a high-demand, low-supply market can be challenging, so it’s important for investors to find a broker to take them through the process. The Traditional Method Broker – Here, like a standard housing real-estate transaction, a broker is commissioned by the seller to list a building to the general marketplace. Investors are left to investigate the building themselves and decide whether the investment is right for them. The Off-Market Method Broker – Here, brokers approach potential sellers and ask if they’d like to sell their buildings. If the building owner is open to potential offers, he or she may allow the broker to show the building, discreetly, to potential buyers. Finally, there is the Buy-Side Broker, who is approached by an investor, told what type of building the investor wants, and is paid to go searching. Once the broker finds a building that meets the investor’s criteria, negotiations are opened and an offer is made. The seller benefits by discovering an investor who is very interested in the property, and the investor benefits by finding exactly the building he or she is looking for. How to choose a buy-side broker? 1. List criteria in detail. This is the most important step. For the broker to do his or her job, he or she must know where the investor wants to buy, what type of building to buy, how big a building to buy, and so on. The broker also needs to know that the investor has a strong mandate to buy, or else all this work will go to waste. A broker is only as good as his or her knowledge of the marketplace. 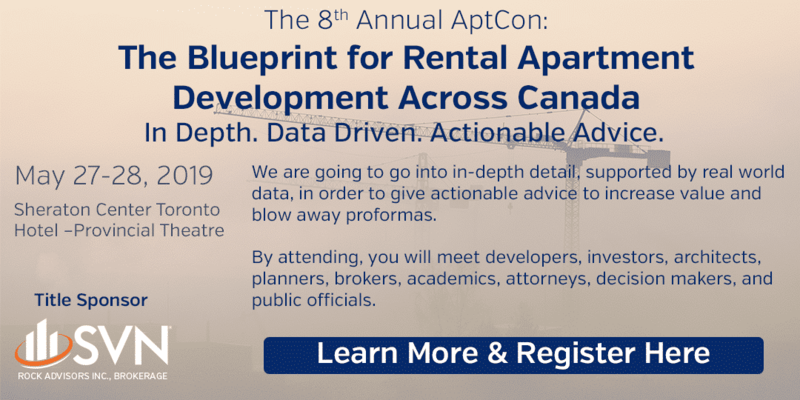 The best brokers in Ontario have databases that list every apartment building in the province as well as other provinces. This database should be able to quickly list all buildings within a particular city, of a particular size, and the limiting attributes. The best brokers send out surveyors to investigate candidate buildings that turn up in a database search. These buildings are scored on characteristics favourable to a renter’s experience, including good superintendents, curb appeal, quality of the lobby and common areas, overall apartment appeal, location, security, parking and other amenities. Buildings are ranked by the above criteria, and then compared against the rents they charge. It is not always the case that the best quality buildings charge the highest rents. As seen in the graphic above, the big differences between quality and rent charged is where the biggest returns can be found. Once these steps are taken, the broker presents the findings to the investor, who chooses the building he or she wants and makes an offer. Even though the rents may not offer the immediate returns the investor wants, the investor should be aware that rents can be raised when tenants move out, and the investment can yield much higher returns over time. In buy-side brokerage, the broker approaches building owners on behalf of a buyer to present an unsolicited offer from a qualified and interested buyer. The building owners are often pleasantly surprised by the attention, since they can now sell their property with no risk, no listing, no obligation, and for a higher price than they might otherwise have received using other broker methods. The broker negotiates the agreement in full confidentiality, and the building is sold. By connecting investors looking to buy and owners looking to sell, this method provides the best rate of return for both investors and sellers.